In today's competitive landscape, scoping out potential buyers and convincing them to invest in your product requires more work than it used to. In order to maximize their numbers, sales reps everywhere are embracing new strategies, techniques, and tools that help them target the right people. 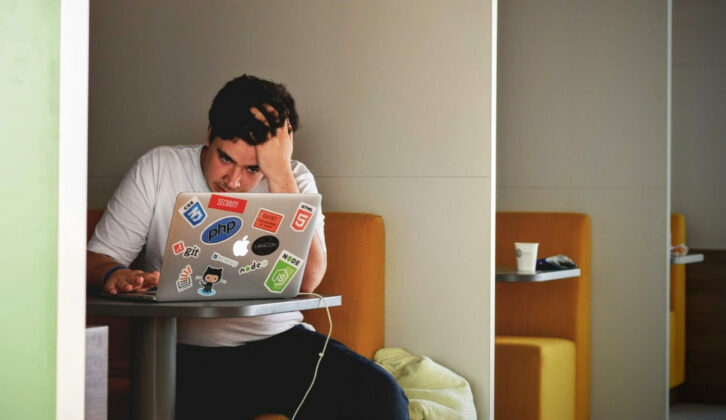 With the recent shift in technology, the importance of prospecting during the sales process of converting leads into customers can't be stressed enough. Sales prospecting involves identifying potential customers (also known as prospects), by developing a database of qualified leads and then systematically communicating with them to generate sales. Before we go any further, let’s talk about the difference between leads and prospects. Leads are potential customers who’ve shown interest in your business. For example, they might’ve visited your website, signed up for a newsletter, or downloaded an ebook. They may not fit your buyer's persona and aren’t necessarily ready to make a purchase right now, but they’re at least familiar with your brand or products. Communicating with leads can be fairly one-sided, as only 7% of them are likely to respond to you right away. Until they engage with your sales reps, leads are basically just strangers on your mailing list, people who've liked your social media posts, or connections you’ve messaged on LinkedIn. Prospects, on the other hand, are leads that align with your buyer's persona, are interested in what you have to offer, and possess the purchasing power. For example, you call a lead and they’re open to learning more about your product. As you continue talking, they indicate further interest by requesting a quote or a demo. As prospects progress through the buying cycle, they get closer and closer to a buying decision. As a sales rep, your goal is to get leads to have that initial conversation with you and establish a mutually beneficial relationship as they become prospects in order to bag a sales opportunity. 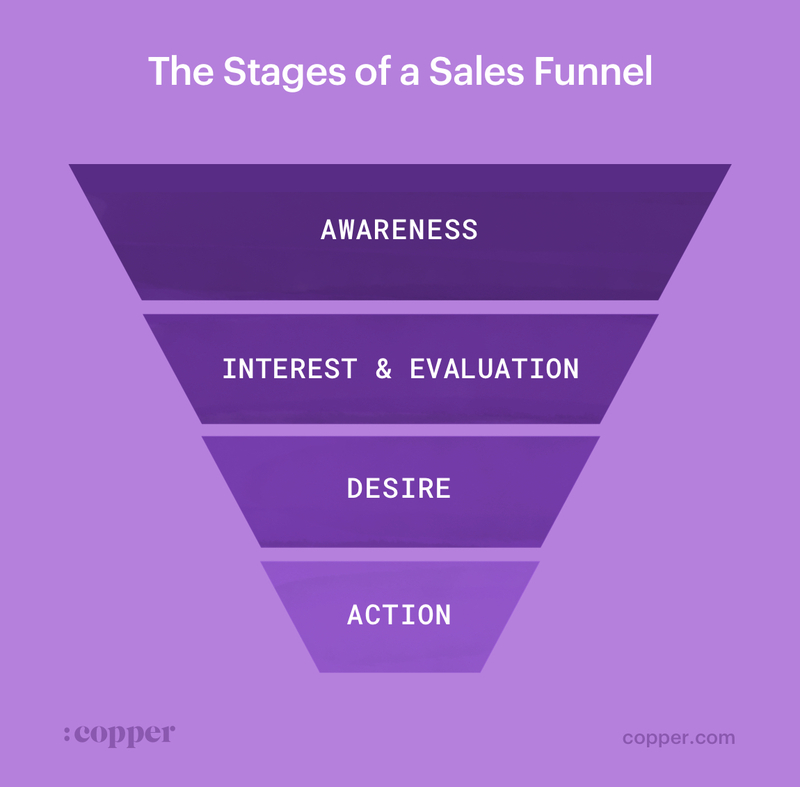 Understanding the difference between a lead and a prospect brings you a step closer to moving your leads through the sales funnel, converting them and closing more sales. A lead has to undergo a qualification process, also known as prospecting, to become a prospect. A lot of companies tend to jump directly from generating leads to selling, without stopping to research their target market or set up a defined, repeatable workflow. Let's take a closer look at why prospecting is important for your business. People buy products based on what goals and objectives they can achieve by using them. Today, customers expect businesses to anticipate their needs and offer appropriate recommendations before they even initiate contact. Therefore, it’s crucial for your sales team to outline a customer’s decision-making criteria including supply security (e.g. always having a healthy stock of product), pricing, shopping experience, and more. When you already have a prospect’s contact information and their interaction history with your rep, it's easier to guesstimate what their interests might be and empower your sales team to progress with a more personalized outreach. For example, If you’re a realtor and your customers happen to be an older, married couple, you wouldn't try to sell them a house with multiple rooms, a contemporary loft, and a long flight of stairs in the busy part of the city. Similarly, if you're dealing with B2B customers, they have to offer a value proposition to their stakeholders and tend to be concerned about driving profitability. Therefore, most customers prefer service providers who leverage industry/market insights to better understand their needs and maximize value delivery. 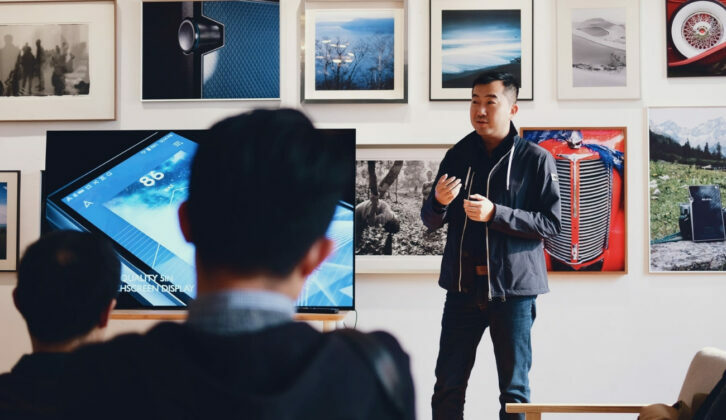 When your sales team is able to determine, prioritize, and quantify customer pain points, they can position your product as a solution and offer a more differentiated, business-first pitch for your audience. Not only this, but the data gathered during prospecting can also be used to conduct market research and learn more about overall consumer behavior. Poorly managed leads, coupled with a decline in sales productivity, cost businesses at least $1 trillion annually. With only 36% of a rep's time going towards selling-related activities, it comes as no surprise that only 53% of them are able to meet their sales quota. While influencers make for compelling brand advocates, they might not have the purchasing power or authority to approve a purchase. In this case, dedicating your time and resources towards pursuing decision-makers significantly shortens your sales cycle. With effective prospecting, you can adopt a more targeted approach to selling by identifying the decision-makers early on. On average, a high-performing sales team spends 15 minutes researching a new lead before contacting them. Once they find prospects that closely match with their buyer's persona, they're able to spend more time on the actual selling: closing deals, customer support, and relationship management. Besides boosting team productivity, vetting your potential prospects also accelerates your marketing campaigns and fuels your CRM with fresh business opportunities. Sales reps spend approximately 15% of their time leaving pre-recorded voicemails that have a response rate of only 4.8%. On the other hand, almost 57% of the reps who engage with prospects on a variety of social platforms achieve a higher ROI. Prospecting, in this case, helps you determine if you should continue investing in traditional methods like cold calling, or turn to other outreach channels for better conversions. In 2015, TOPO, a sales and marketing research firm, suggested a 'triple touch' approach for hard-to-reach prospects, where you send an email, make a call, and drop a LinkedIn message. Implementing a successful multi-touch, multi-channel outreach is easier once you've identified qualified leads as prospects. 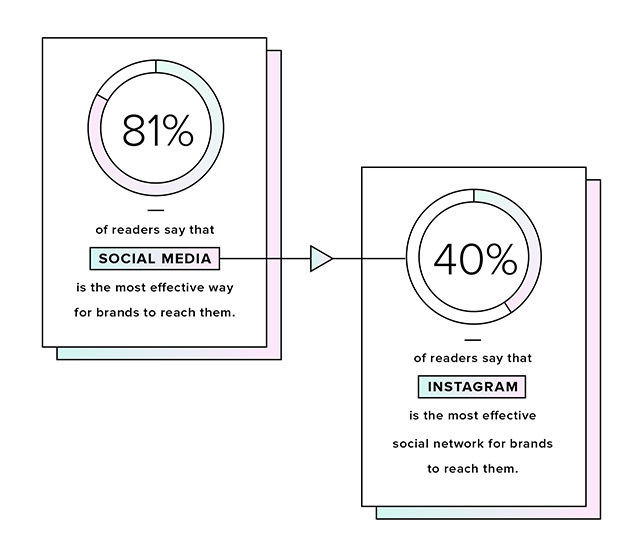 For example, 40% of women between the ages of 18 and 34 feel that Instagram is the most effective way to reach them. For the ages 50 and above, sticking to Facebook might be a good idea. On average, it takes 84 days to turn a qualified lead into a sales opportunity and an extra 18 days to secure the deal. No wonder most reps exhaust themselves trying to cross the finish line. Prospecting allows you to prioritize qualified leads based on their purchasing intent and estimated average deal size. For example, you’d get better results from an exploratory call with a medium-sized business (100 to 1,000 employees) instead of a bootstrapped startup, as the former is more likely to have money to invest in your product. Once you've identified prospects with an established urgency to buy and no budget limitations, your reps can focus on the best way to get them onboard. Ultimately, pursuing high-value opportunities positively impacts your long-term revenue and also prevents employee burn-out. Initially, you'll notice a ton of leads entering your pipeline, but the vast majority of them will drop off significantly after the prospecting stage. When you only have productive prospects remaining, you're in a better position to gauge the number of deals your team will be closing. A successful rep has a ratio of 1.25 opportunities to 1.5 deals in their pipeline. 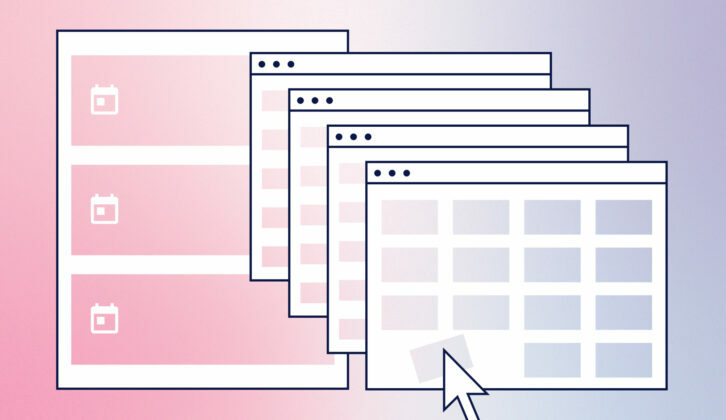 With a more organized pipeline, especially if you're using a CRM, your team can keep track of upcoming calls, meetings, proposals, and negotiations—from only high-quality prospects—in one place. The success of your sales process depends on the health of your pipeline, the length of your sales cycle, the amount of revenue generated, and the number of deals closed. Remember, even though it may take a while to see the effects of prospecting, its impact is long-lasting. This means it’s just as important on the first day of the month as the last. 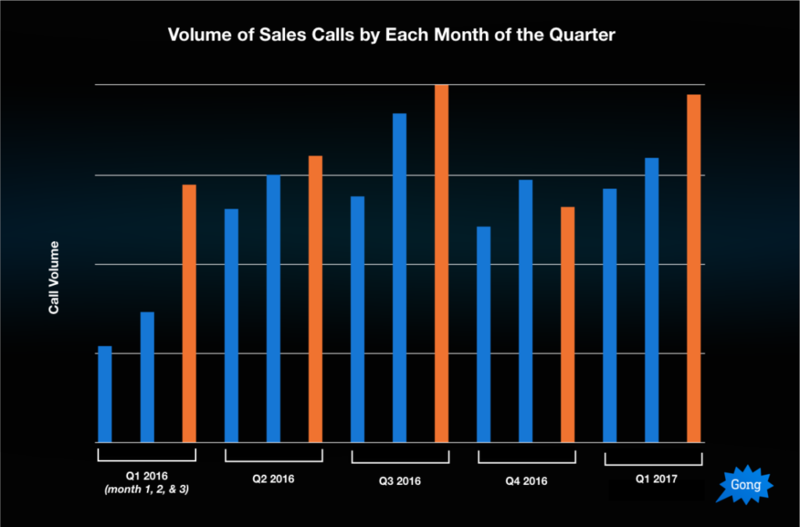 Gong's study found that sales reps make more calls towards the end of the quarter (especially the last month) than the beginning—which usually results in them failing to meet their quota. As expected, the success rate of these last-minute calls is low. Remember, initiating a conversation with early-stage leads, whether it’s through cold calls, emails, or social media, is instrumental in converting them to prospects. Regardless of which stage—awareness, consideration, decision—of the sales cycle a potential buyer is in, you should always be in a prospecting mindset: ready to learn more about their business needs and how you can meet them. How are you planning to implement prospecting in your sales process?